Time: 8:30 am for a 9:00 am start. Where: Cranbrook State Primary School, Cnr Alice Street and Bergin Road. 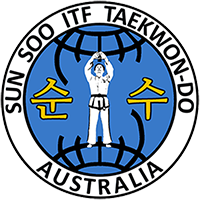 What an amazing adventure and success was Sun Soo's venture to the CHITF World Championships in Melbourne. I wish to thank Grand Master Phap Lu, the head of the organization, Grand Master Robert Lai, and all other Grand Masters, Masters and event organizers, with special mention to Master Jason Lai and AB Jet, very well done indeed. As Master Instructor of Sun Soo I could not be more pleased of the efforts of the entire team, and the army of supporters that were behind us 100 percent. The results speak for the training, blood, sweat and tears, the doubts, disappointment, and self questioning. In the end your testament to the Tenents was inspiring, and was it ever noticed by all that met you, both in and out of the ring. You should be very proud, as I was. It was a dream come true for me to have my first Instructor, Greg Lee, on our team of Umpires. He is the reason you are family of Sun Soo, and he installed the discipline of Taekwon-do into my very being. 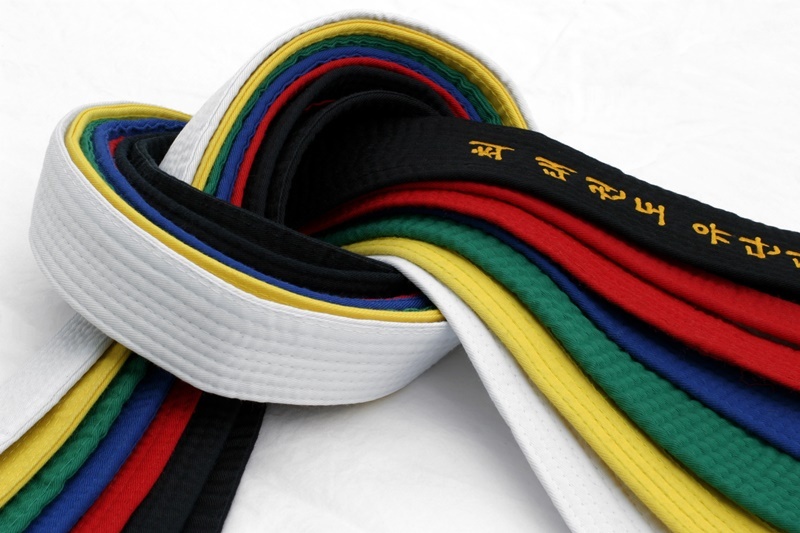 He is the Instructor that told this student he wasn't ready to test to yellow belt, in 1986. He is the Instructor that trusted me to guide his club when he left town, in 1987, and he is the Instructor that with a smile last weekend told me he was so proud to be there, and that I was now ready to test to yellow belt...to you Sir I take a formal bow. Mr Andy Mak, the head coach of the team, you Sir were instrumental in why we achieved as we did, and your own performance in sparring was inspirational to witness. The Umpire team of Mr Stewart, Mr Coyer, Mr Goon Chew, and Mr Lee, a professional team gentlemen. Coaching team, Ms Ingram, Mr Mak, Ms Smith, Mr Hetherington, always available, always professional. The first time competitors, the first time champions, the veteran competitors, and the division winners, very well done. Special mention of Sabum Andy Smith, highest points of any country, any competitor, and Grand Champion, so proud! The hours on the mats were not wasted, and you shine brighter up on that 9x9 stage my friend, it is no accident that you won. It would not be right to omit the teachings of Grand Master Hwang Kwang Sung, it is your guidance Sir over the years, the support that you have show to me, the opportunity you have given me, is the overall reason for success, all the while never asking or expecting anything in return then to do the art as General Choi wanted, thank you Sir, with a Royal bow. You are all champions in my eyes, whether mentioned or not. 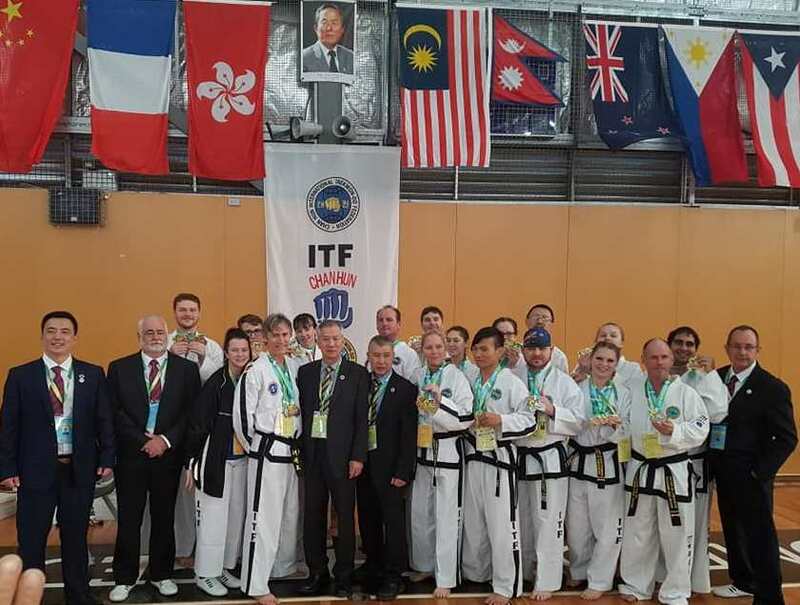 Over the weekend of Saturday the 9th and Sunday the 10th of March, a team of Sun Soo ITF Taekwon-Do members competed in the CHITF World Championships in Melbourne. The results are shown in the attached pictures. The team performed extremely well, with every single person competing, achieving a medal. In addition Sabum Andy Smith, achieved the highest points of any competitor, and Female Grand Champion. Out of a total of 28 schools from 11 countries competing, Sun Soo ITF finished 6th. Outstanding!!! An Umpiring Team, consisting of Sabum Dave Stewart, Sabum Bill Coyer, Sabum Mal Goon Chew and Mr Greg Lee also participated. All Sun Soo TKD Clubs are back in action this week starting Monday 11/02/2019. Sorry Pimlico Members, we have to wait 1 more week by the schools request 😔.